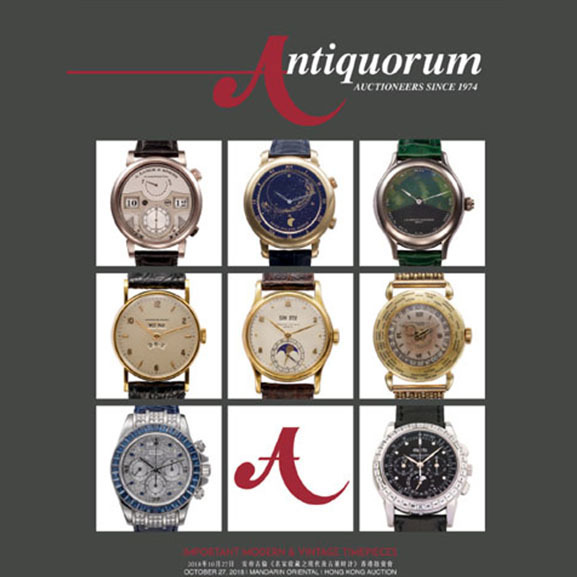 Antiquorum Auctioneers, the world’s premier auctioneers of modern and vintage timepieces, is going to have a great Autumn auction! 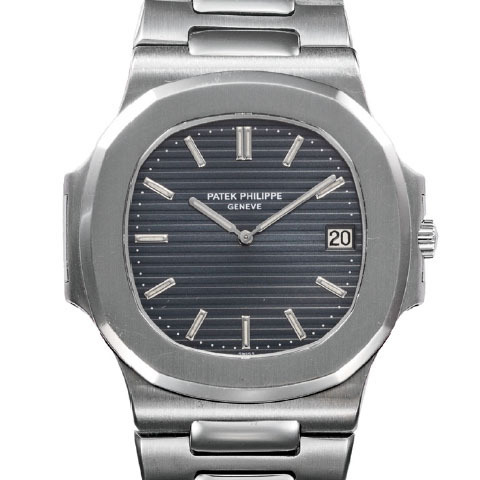 On October 27th “Important Modern & Vintage Timepieces” is going to take place at the Mandarin Oriental, Hong Kong. The first session of the auction (lots 1 – 163) starts at 10:00 am, the second session (lots 164 – 417) begins at 2:00 pm. 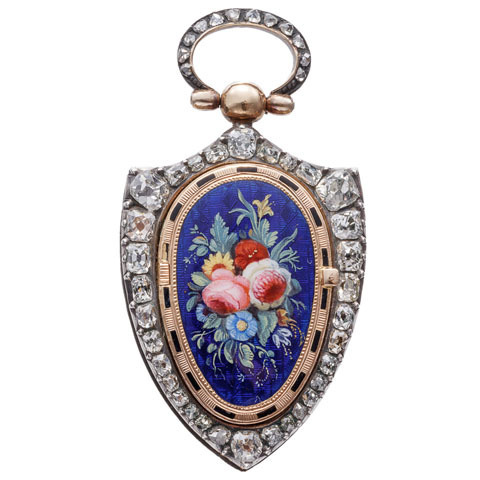 With this article we are sharing with you the auction highlights, but if you're curious and would like to find out more about the auction don't miss their catalogue! 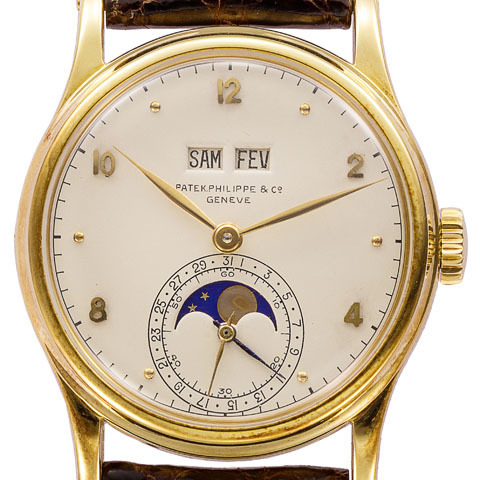 18K yellow gold, manual-winding, round-shaped, gentleman's wristwatch, snap-on case-back, subsidiary seconds at 6 and five horological complications: – Half-instantaneous perpetual calendar à guichets (with apertures) – Date of the month (subsidiary dial at 6 o'clock) – Day of the week (aperture at 11 o'clock; indications given in French) – Month of the year (aperture at 1 o'clock; indications given in French) – Phases of the moon (aperture at 6 o'clock). Folder with instruction booklets. 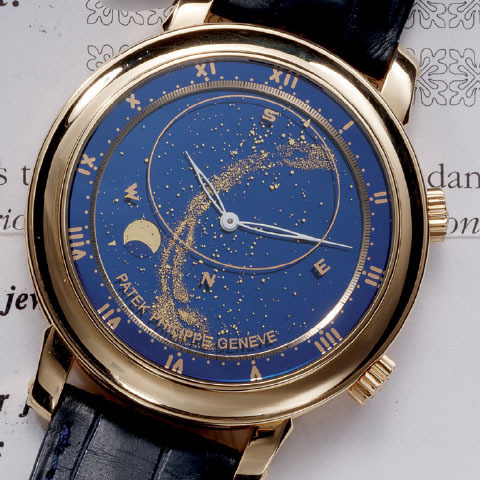 18K yellow gold, self-winding, wristwatch with mean time indication.cturnal sky chart of the Northern Hemisphere, moon phases and moon orbit, time of the meridian passage of Sirius. 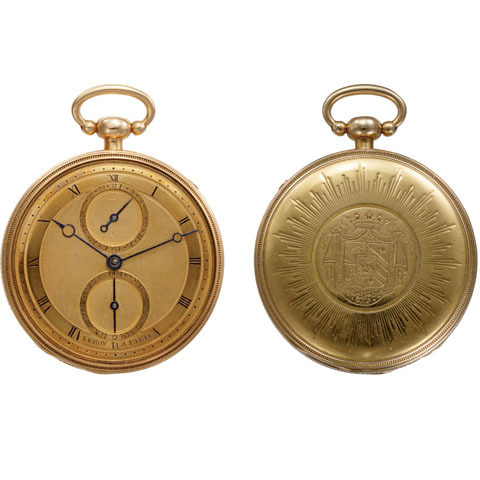 18K yellow gold, open face, key-winding, round-shaped, pocket watch with gold guilloché engine-turned dial and three horological complications: Quarter-repeater on two steel square gongs (activated by pulling the pendant after pressing the button at 1.30), Date of the month (subsidiary dial at 12 o'clock), Day of the week with zodiacal correspondence (subsidiary dial at 6 o'clock; indications given in French) Case-back engraved in taille-douce with the coat-of-arms of Félix Baciocchi (1792-1841), French military, Prince of Lucca and Piombino (1805-1814), Grand Duke of Tuscany (1809-1814), and brother-in-law of Napoléon Bonaparte (1769-1821), French statesman and military leader, Emperor of the French (1804-1814 and 1815). 18K white gold, manual-winding, round-shaped, gentleman's Chronometer wristwatch, with sapphire-crystal snap-on case-back, a one-minute tourbillon regulator and a patented invention: a dial who opens and closes by the fan-like rotation of two opaque sapphire crystals (240Ao. ), revealing a second hand-decorated jade engraving dial showing a Dragon (on request, instantly, by simply pressing the push-button; in passing, within owner defined time completed by the expert watchmaker during assembly; by the time the system starts switching over the display until its complete unfold (240Ao.) it takes 60 minutes) Movement based on the Swiss invention patent no. 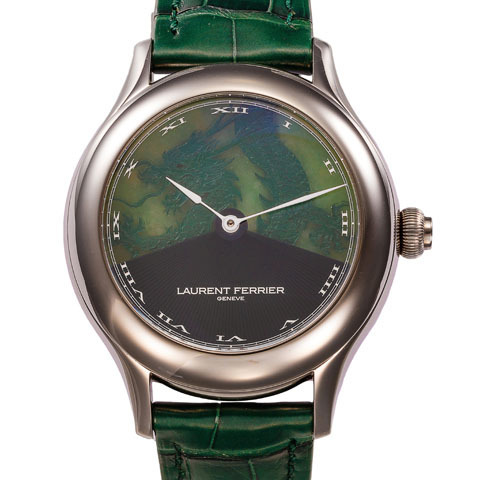 701 406 A1, delivered on July 3, 2009, to Laurent Ferrier SA, Geneva, for a “Display module for dial of wristwatch, has drive unit formed of racks to actuate disks in rotation such that disks pivot around axis for scanning disk sectors at any angle, from their initial positions till their end positions, respectively”. 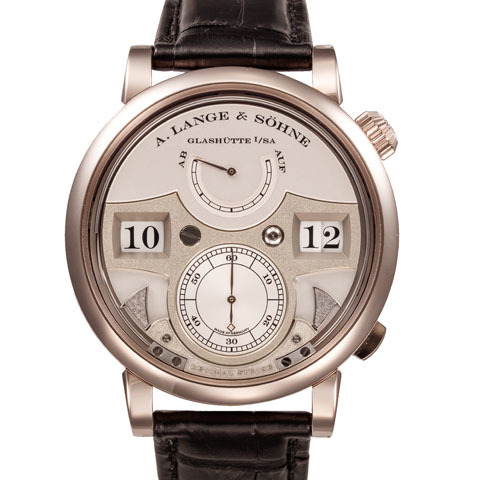 18K “honey” gold, manual-winding, round-shaped, digital jumpin.merals, gentleman's wristwatch, with sapphire-crystal screwed case-back, subsidiary seconds at 6 and three horological complications: Ten-minute-repeater en passant (or decimal Petite Sonnerie) on two gongs, Striking mechanism (activated or deactivated by the push-button at 5 o'clock), 36-hour power-reserve indication (sector at 12 o'clock) The guarantee mentioned that this watch was sold on May 2, 2018. 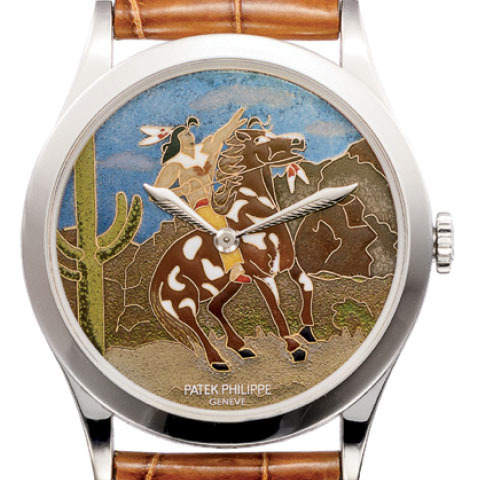 Platinum self-winding, round-shaped, gentleman's wristwatch, with sapphire-crystal screwed case-back, polychrome cloisonné enamel dial showing a native Indian of America on horse.Very fine and rare, manual-winding, stainless steel wristwatch with chronograph and black bezel.